Apple didn't say the Apple TV would be available to buy in-store today, but, surprise! It is. Apple opened up preorders for the fourth-generation Apple TV on Monday, but didn’t say when the 32GB and 64GB models would be available to buy in-store. 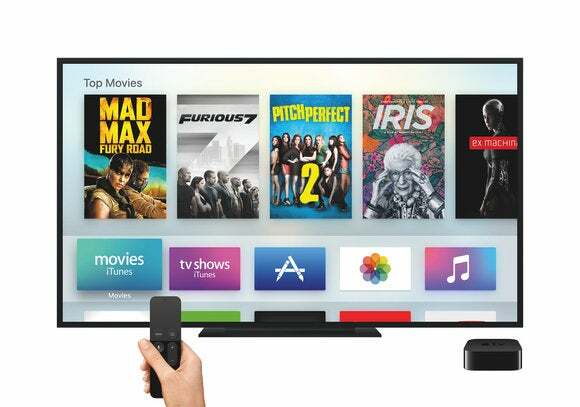 It’s unclear why the company didn’t announce a date, given that they probably want to sell a lot of products, but now it’s official: New Apple TVs are on Apple Store shelves starting right now. Before venturing down to your local Apple Store to snag a new Apple TV, check inventory online to make sure your efforts don’t go to waste. You can select Personal Pickup to see which store has the device in stock, then reserve one and prepay for it so you can get in and out quickly. 9to5Mac is reporting that Best Buy and Target will also carry new Apple TVs online and in select stores starting today. Online ordering and in-store pickup wasn’t yet available on Best Buy’s website, and Target was estimating Apple TV delivery dates 2–4 weeks out and no in-store availability in the New York area. The 32GB version is $149 and the 64GB model is $199. Both devices come with the new Siri-integrated touchpad remote. Apple is selling a wrist strap accessory for gameplay with the remote for an additional $13. Only one Siri remote can be paired with an Apple TV, but if you break the one included with the device, you can buy a replacement for $79. Did you preorder an Apple TV on Monday and pay an extra $17 for Oct. 30 delivery just to discover that it’s available in your nearby Apple Store right now? Share your irritation in the comments. If you were planning to buy one in-store anyway, let us know where you pick it up.